Got a new do a few weeks back. I RARELY get hair cuts. As a matter of fact, I dread them. My hair has been through a lot meaning it’s weak and brittle. I probably shed like a dog from all the breakage the years of dying has caused. Having to trim my hair from time to time makes my heart ache, since it takes forever to grow. I paid a visit to the hair gods a few weeks ago. My colorist Linh Phan & celebrity hair stylist, Anhco Tran. 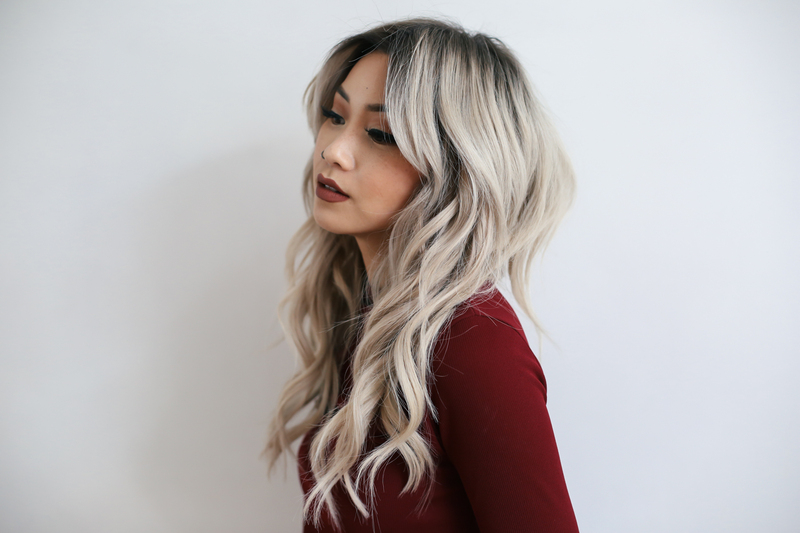 Linh restored my super light and ash blonde color after a trip to Barcelona for L’Oreal. I was shooting a commercial with L’Oreal, and they colored my hair pink, blue and purple. When I got back, Linh was able to remove the color and restore me to a soft white blonde. His work is magic and I love my color more and more each time I visit him. Check out his Instagram @bescene for more photos of his work. It was such an honor to get my hair cut by Anhco Tran. Aside from his massively star studded clientele, he was so sweet and courteous. I definitely understand the respect of his work. I was beyond impressed and excited about my new do. I don’t think I’ve ever been happy or excited about a hair cut before. After I was blessed with my new do, I shot this look with Ryan. I’ve bene OBSESSED with this peplum sleeve trend going on. I had been following Storets for a little while now and have fallen in love with all of their blouses. They’re so unique and remind me a lot of the styles I had seen during my trip to Korea. I gave the look a little boho flair with my favorite belt and some new boots from Matisse. Check out more from Storets here! All Choked Up with Scünci. Thank you, for the prompt response, flamcis! Woah im typing in this comment box and Everything is in caps ? Hope you dont think im yelling at you. Your hair is beautiful though. 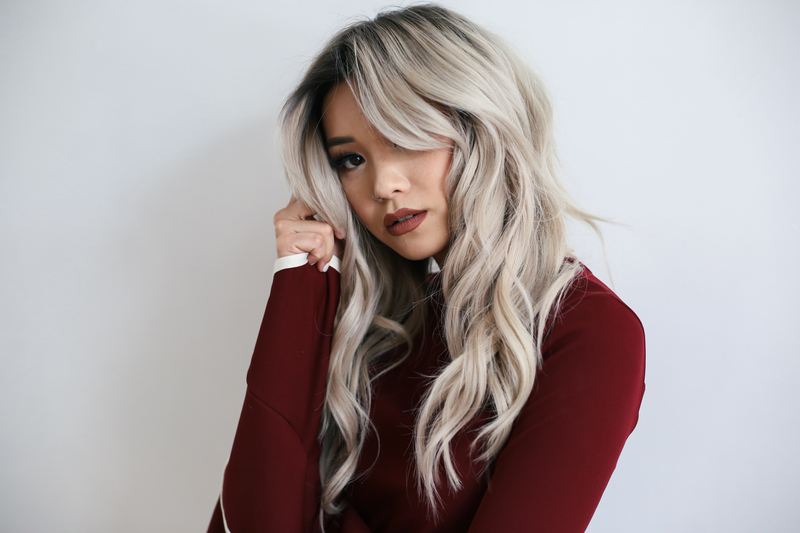 My hair dresser once did an olaplex treatment to it when my hair was still silver–it seemed to Help with the damage done, maybe it can be Helpful to you too!